Curiosity may have killed the cat (rest in peace, Fluffy), but it will definitely make you a better cook. For someone on a restricted diet – especially a salt-free diet – it is essential to venture beyond your comfort zone and try things that will not only impress your guests, but surprise your palate. If you simply rely on the basics (salt and pepper) and the simple (red pasta sauce and noodles), your options will be limited and your meals will end up – I hate to say it – tasting pretty bland. But once you stop focusing on the things you can’t have (salt and soy sauce) and begin to explore the bounty of products you can enjoy (fenugreek, Bok Choy, and Banyuls), your cooking will transform from a mere task to an exciting adventure. The truth is, though, very few of us are born knowing how to sauté long beans or successfully caramelize a gizzard. Or for some of us, how to simply boil an egg. And for that sole reason, the online cooking Mecca, Epicurious, was born. (Fun fact: Epicurious is turning 15 years old this year and has been around as long as Yahoo! Mind-blowing but true. Feel free to pull that little nugget out at your next cocktail party). I recently had the pleasure to meet with Epicurious’ Editor-in-Chief and virtual visionary, Tanya Wenman Steel, to chat about the site, its mission, and how it can help every cook – especially those on a low sodium diet – learn to make exciting, delicious meals at home. In joining the website in 2005, Steel wanted to update Epicurious from an online, recipe index to a gathering place for all kinds of cooks – the busy parent, the developing foodie, the curious shopper, and the health nut – to talk and learn about all things food. “Epicurious aims to show people that cooking healthy does not have to be something expensive, complicated, or esoteric,” Steel says. “In using the site, you join a supportive community of people who are trying things for the first time, where some things work and some don’t.” And as a cook who has had many failures before striking culinary gold, this is a welcome notion. So she found her inspiration and instruction in one of the few food-related programs and chef-lebrities around: Julia Child. Thanks to Child’s ease and silliness, Steel quickly took to the stove. And it was in these early years of experimentation, failure and success, that Steel developed her practical approach to cooking and passion for spreading it to others. And if you consider yourself more of a people-person than a cyber geek, well then there’s even more exciting news in store: Tanya and her Epicurious booth may be coming to a green market near you! As a part of the site’s third annual Farmer’s Market Tour, they are crossing the country to visit green markets in five major cities, spreading the site’s mantra to eat healthy and eat fresh. 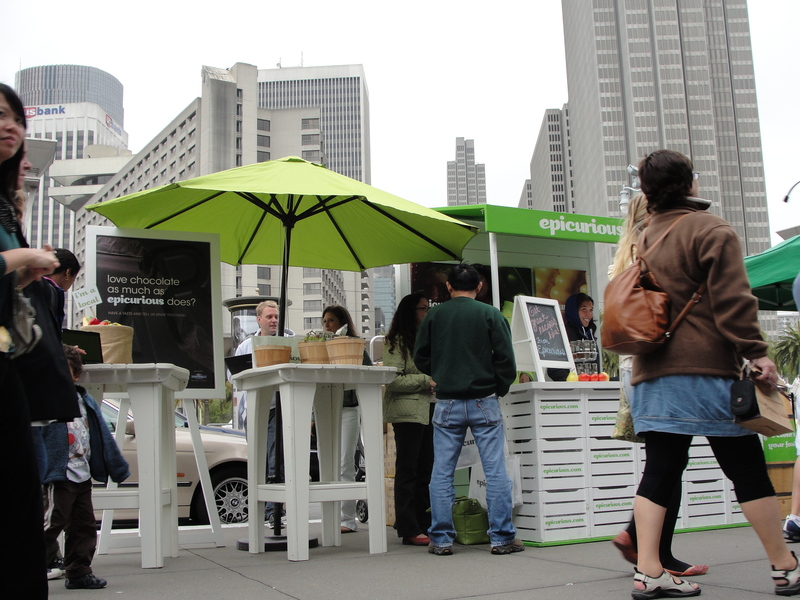 The tour kicks off this week at the San Francisco Ferry Building Farmer’s Market. So head over on Saturday, the 24th (that’s tomorrow!) to meet Steel, learn about Epicurious’ products, play with the iPad app, and meet the local chefs who are participating in Michelle Obama’s “Chefs Move to Schools” campaign. Phew! That’s a whole lot of information and a whole lot of fun. 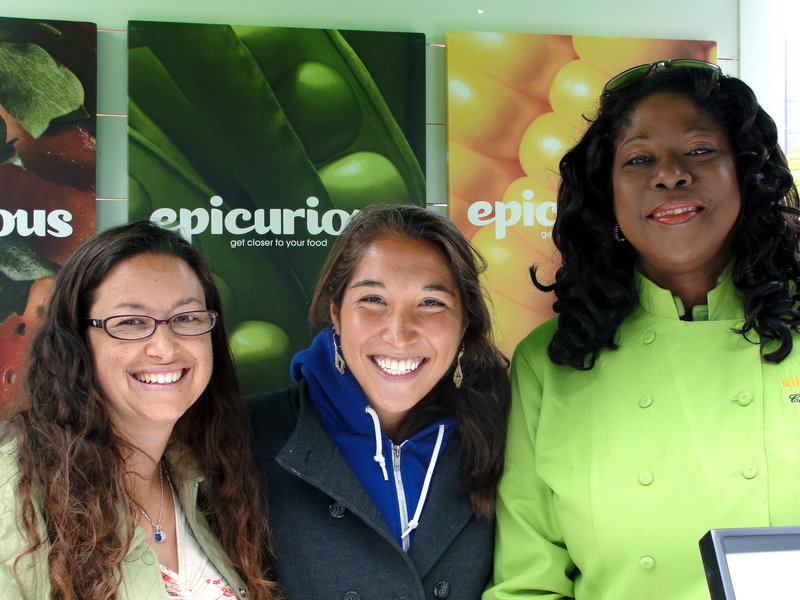 And if you want more details about Epicurious and Mrs. Obama’s fight for healthier children and healthier food, check out my latest article on Examiner.com. So remember to be curious and adventurous, and to seek out the tools, like those on Epicurious.com, that will help make your low sodium cooking full of flavor. Cyber-surfs up and, as always, chow on.